It seemed only right to go out with this one entitled “The Events of 2010” by Marko Djurdjevic. With the growing amount of Comic Book cartoons coming out on DVD, we thought we’d let you know what’s worth picking up and what’s not. 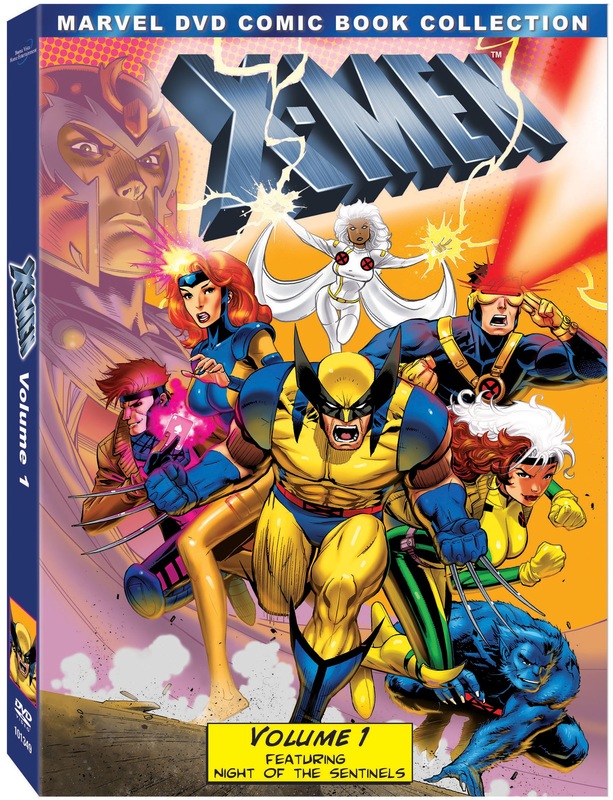 First up, X-men cartoons (90s version) – Volume 1! Review: Storm making grand speeches before fighting; Rogue’s “sugah” and southern sayings (“You look ’bout as nervous as a long-tailed cat in a room full of rockin’ chairs); Gambit’s talking in third person; and Jubilee taking over the usual role of the annoying Kitty Pryde. All things I loved about the 90s cartoon. I’m sure I’m biased because this is cartoon I grew up with, but I definitely think it’s the best and most accurate cartoon adaptation to date. Wolverine is angry and harboring a love for Jean, Beast sounds like a Harvard scholar, and they’re all wearing their best uniforms. On Disc 1, in the premiere “Night of the Sentinels (Part 1 and 2),” the creators took quite a risk. Instead of opening with X-men’s most well-known villains such as Magneto, Apocalypse or Mr. Sinister, they opened with an episode surrounding Sentinels. The only not-so-great part about this episode, and this Volume in general is the addition of Morph. Although I don’t have anything against Morph, it seems like they kind of just stuck him in here. Of course, as you’ll see, Morph is in here considerably less than the rest of the cast. “Enter Magneto” introduces Magneto and Sabretooth with epic destruction, as they should be. “Captive Hearts” has our first Wolverine-Jean moment, as well as our introduction to Callisto and the Morlocks as Callisto tries to make Cyclops her sperm donor. And, of course, our first look at Gambit in his speedos ;). “Slave Island” introduces Moira McTaggart, Master Mold, and Cable. “The Unstoppable Juggernaut” introduces Professor X’s no good stepbrother, the Juggernaut (duh) and Colossus, as well as Rogue’s first absorbing freak out. Disc 2 opens with “The Cure.” In this episode we meet Angel (how he keeps those wings tucked in his jacket, I’ll never know), Mystique, Apocalypse, Pyro and Avalanche. We also get our first bit of Rogue/Gambit flirtation that will inevitably continue on for the rest of the season (yay!). In “Come The Apocalypse” we see Angel become Archangel, Apocalypse’s Horseman, Death. “Days of Future Past (Parts 1 and 2)” takes us to 2055 where Wolverine is still fighting the good fight. This is the classic episode where Bishop goes back in time to our present to alter history with the hopes of improving his present. It has a very “Terminator” feel to it. It also features Nimrod and Forge, and lets us in on the fact that Mystique was once Rogue’s foster mother. “Till Death Do Us Part” shows Cyclops’ and Jean’s first wedding that ends up being null and void. We also first see the human we love to hate, Graydon Creed, leader of the Friends of Humanity and Mr. Sinister. We also get to see the Nasty Boys with one of the best named characters in comics – Gorgeous George! This episode gives us a taste of what in the comics would become a creepy obsession for Cyclops and Jean on Sinister’s part. The volume ends with “Whatever It Takes,” an episode about Storm’s home village and the Shadow King. Overall, Volume 1 is a must have in your collection! Oh and P.S. the 90s X-men opening theme IS the end-all, be-all for opening themes. Don’t let anyone tell you different! If they had it for my phone, it would be my ringtone to this day. Best Episode: “Night of the Sentinels” – you’ve got to see where it all begins. “Days of Future Past” is also a must-see. Episode You Can Skip: “Cold Vengeance” gets a little slow but it sets up “Slave Island,” which is a more interesting episode. In “Deadly Reunions,” as Professor X is in Sabretooth’s mind, see some fun special guests, such as Deadpool, Omega Red and others. “Slave Island” shows mutant extras Northstar, Aurora, Sunfire and others. “Days of Future Past (Part 1)” shows some kids running with a video game in their hands featuring The Punisher. In “The Final Decision,” when Professor X probes Gambit’s mind, we see Ghost Rider. 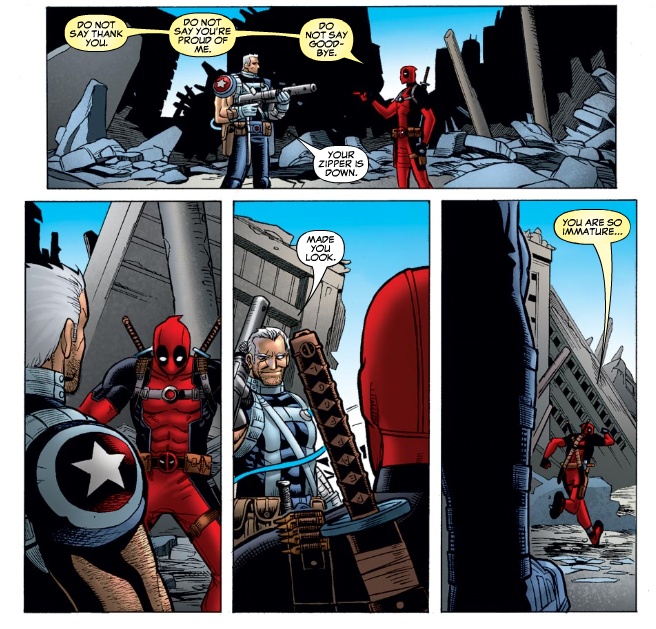 In “Whatever It Takes” Morph transforms into Deadpool, Omega Red, and Maverick.